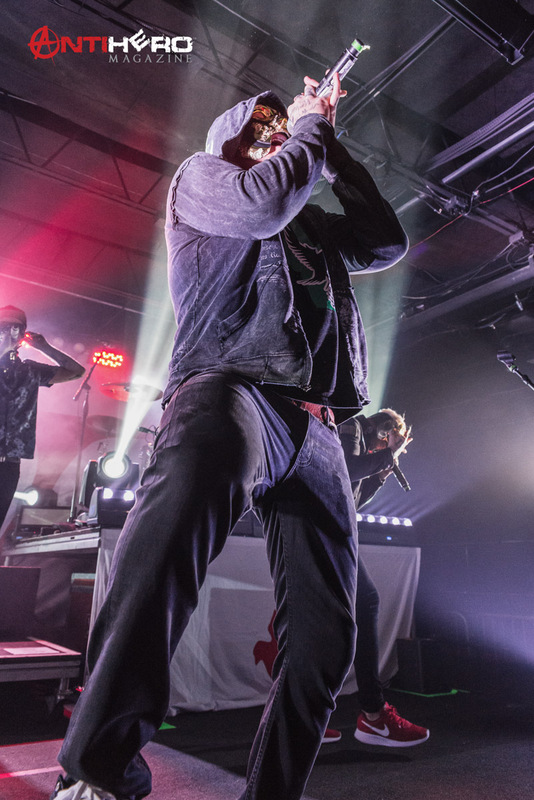 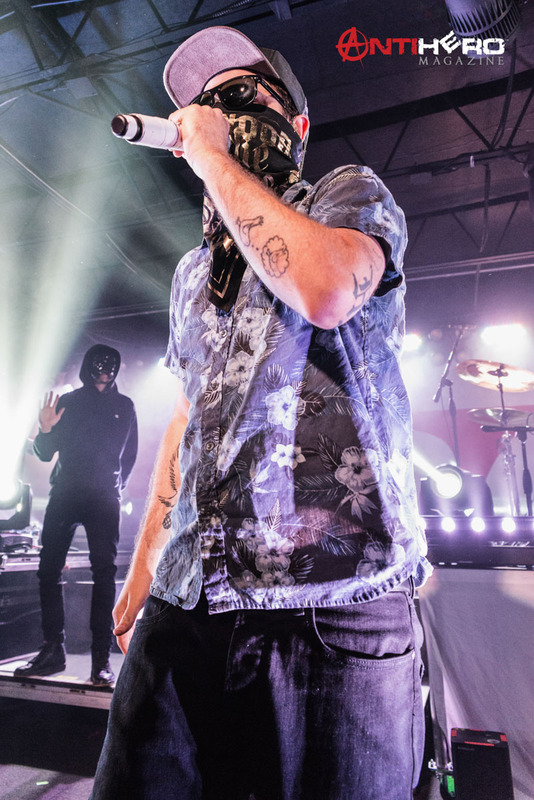 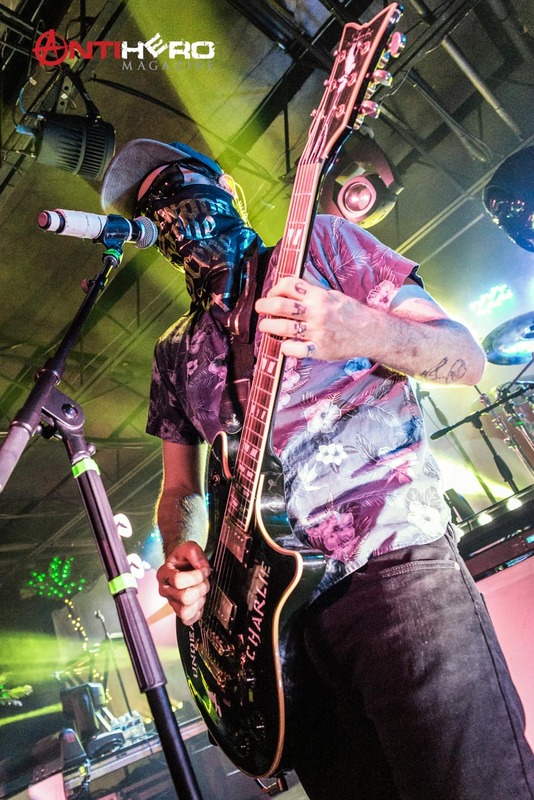 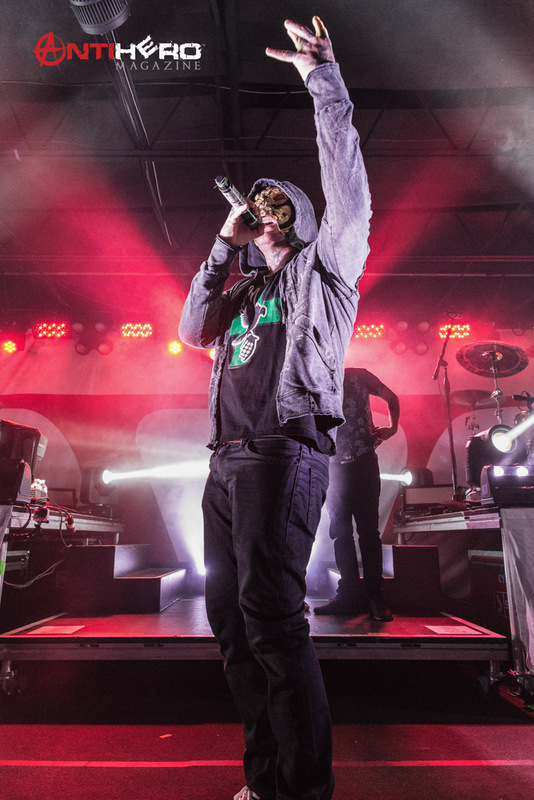 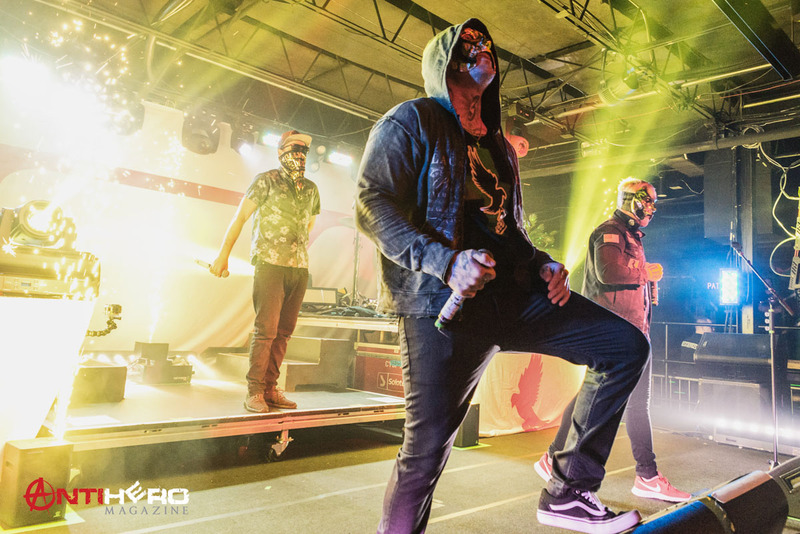 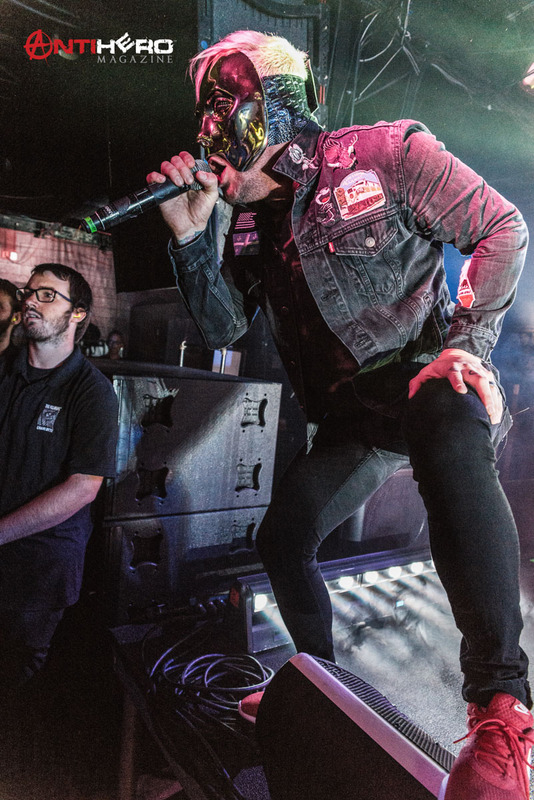 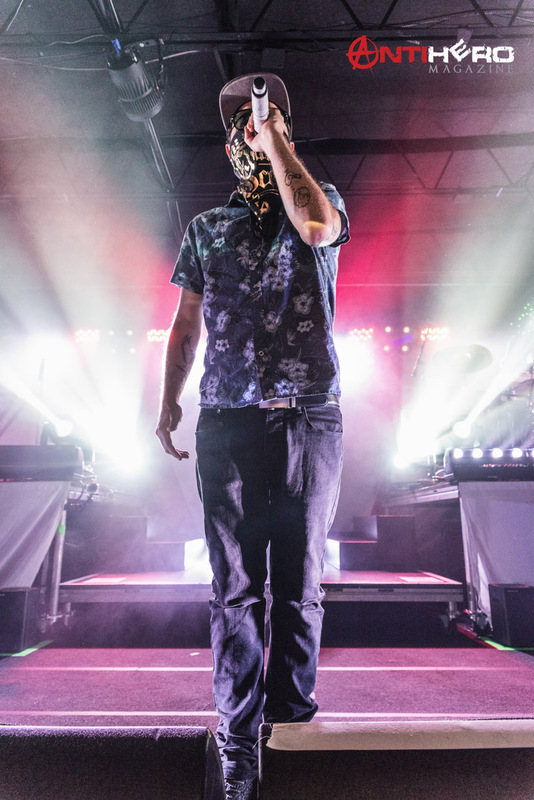 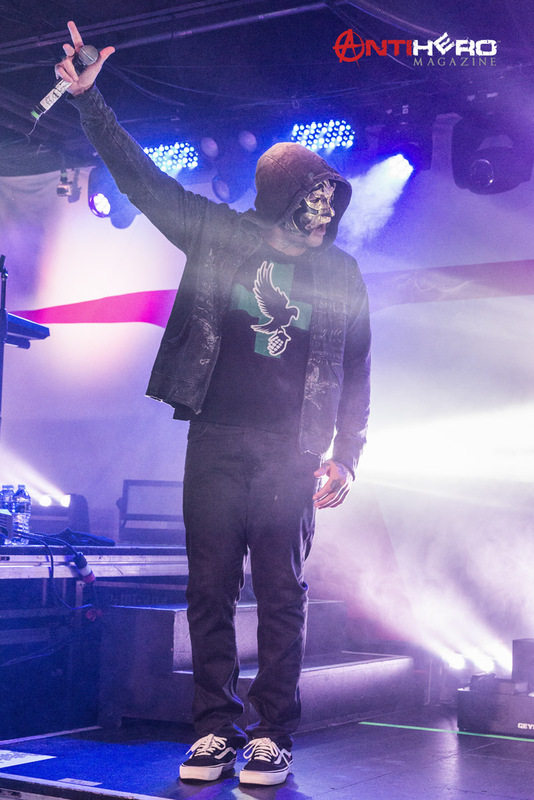 Hollywood Undead Delivers Powerful Performance To A Sold Out Crowd In Charlotte N.C. 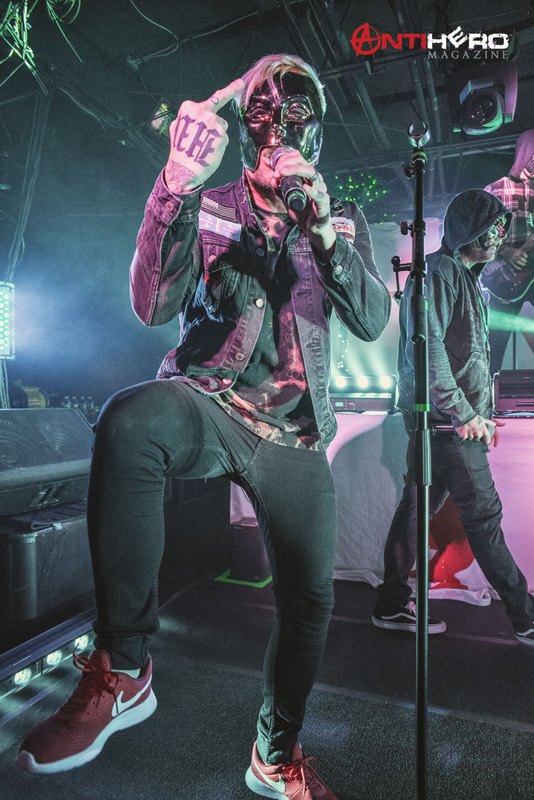 Fans began to line up outside The Underground at the Fillmore in Charlotte, North Carolina more than 3 hours before the doors opened for a night of high energy performances from Butcher Babies and Hollywood Undead. 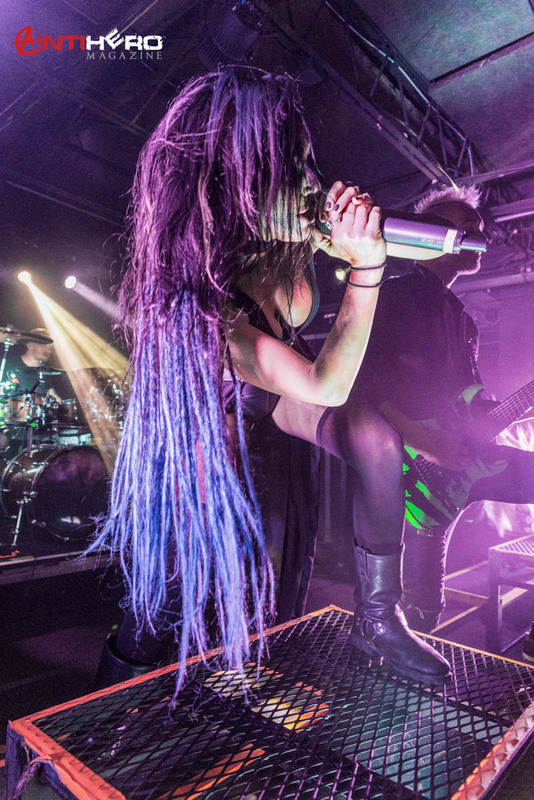 I missed the opening act of the night because I was backstage hanging out with Butcher Babies, while my good friend and fellow Antihero Photojournalist, Maq Brown, captured some new promo images for the band. 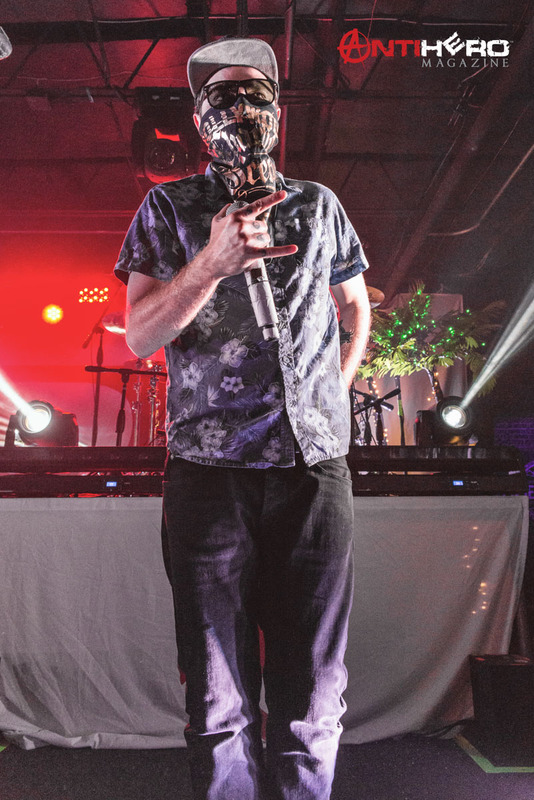 This gave me an opportunity to chat with the band a bit about the tour. 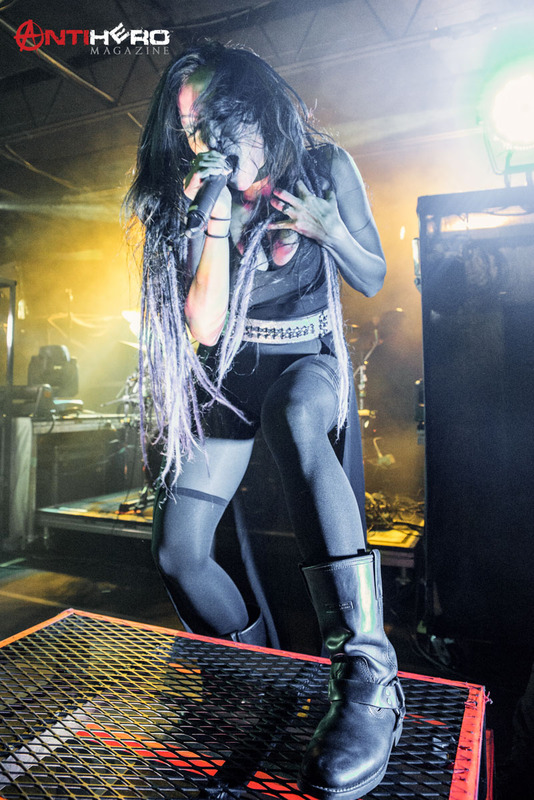 For me it seemed odd for Metal based Butcher Babies to be on this tour with rap rockers Hollywood Undead, the band reassured me that even though it was a bit out of their element it was an opportunity for them to seize a new fan base that might not have heard of the band before. 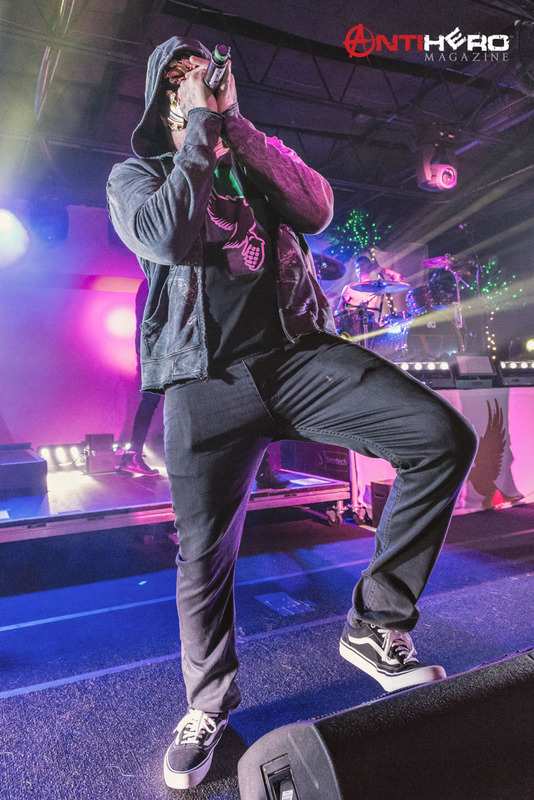 I was actually able to catch the last two songs from the opening act, a Hip Hop group from California which was so underwhelming that I honestly forgot their name. 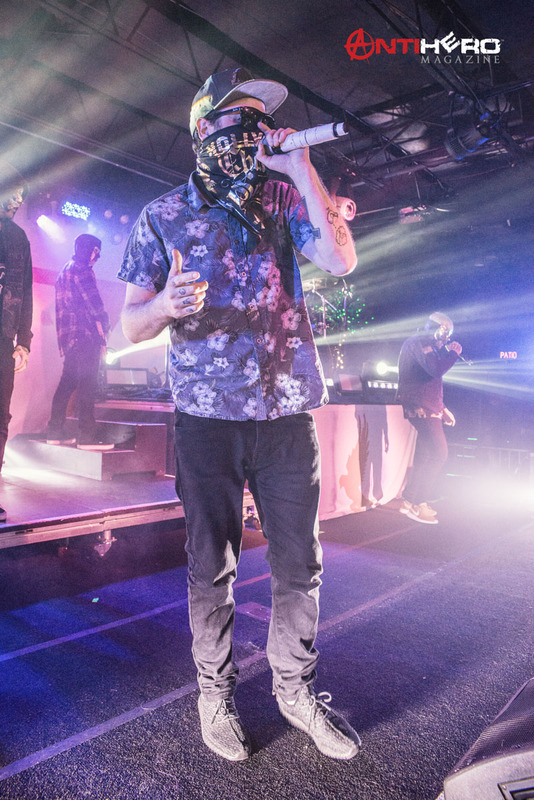 Don’t get me wrong, I am a fan of old school Hip-Hop and Rap, but when it came to this group, their stage performance along with their lyrics were terrible and it showed in the crowd’s reaction as well. 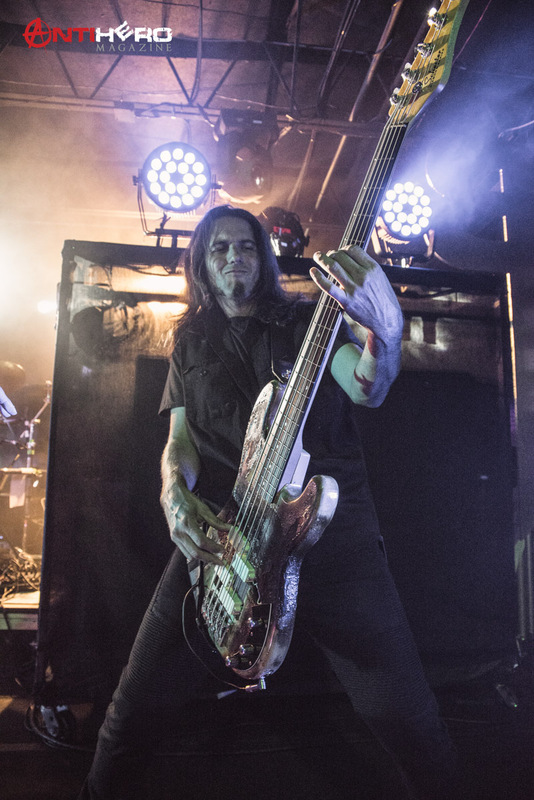 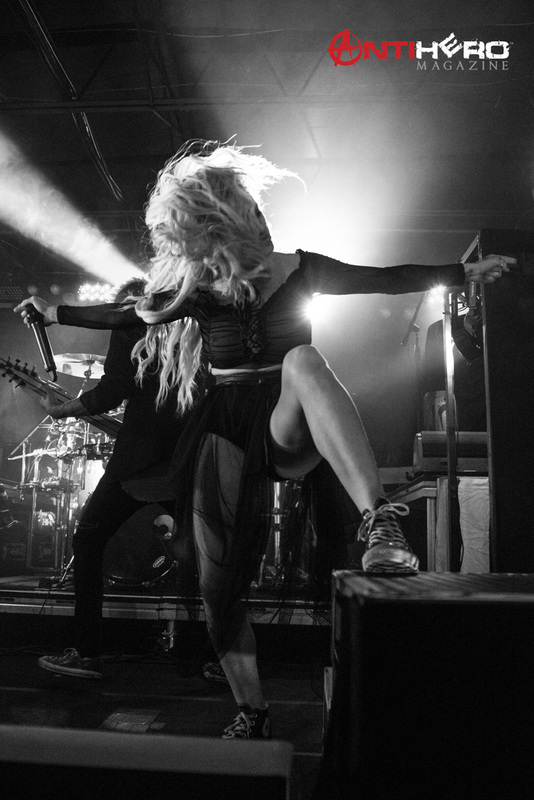 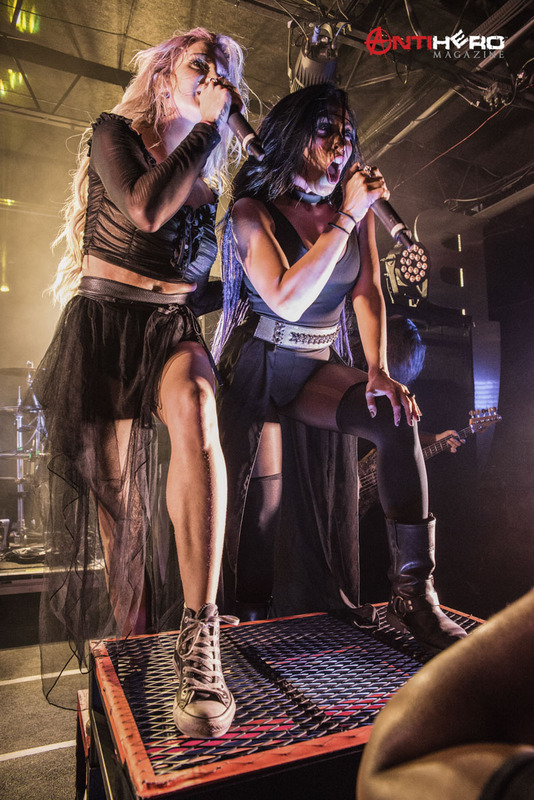 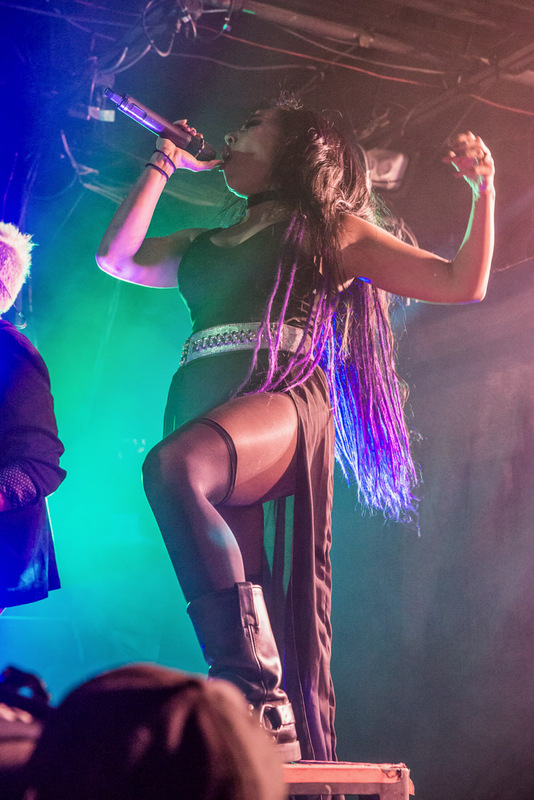 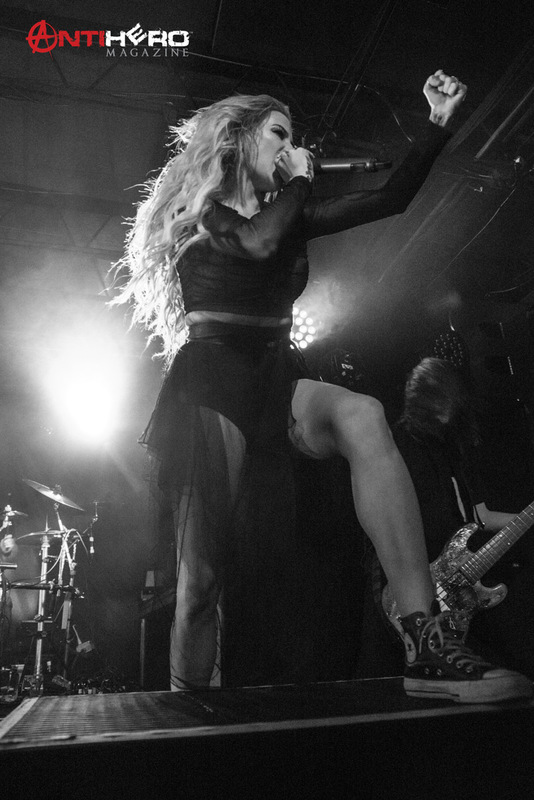 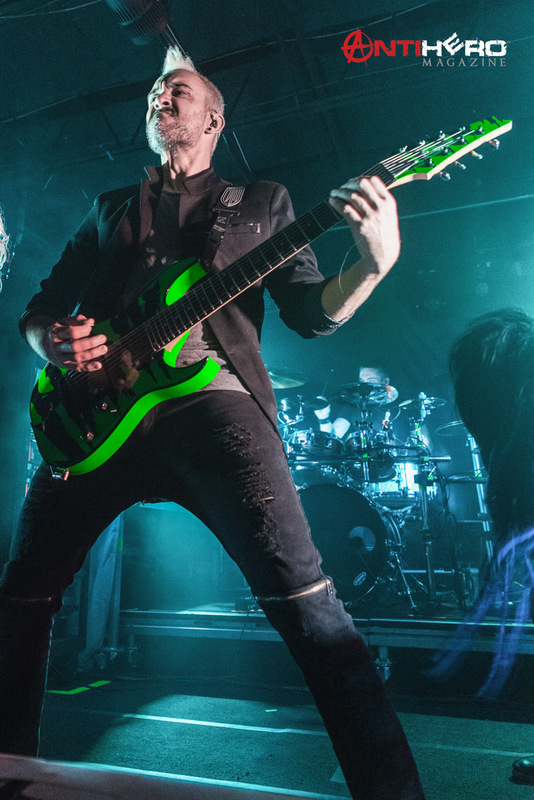 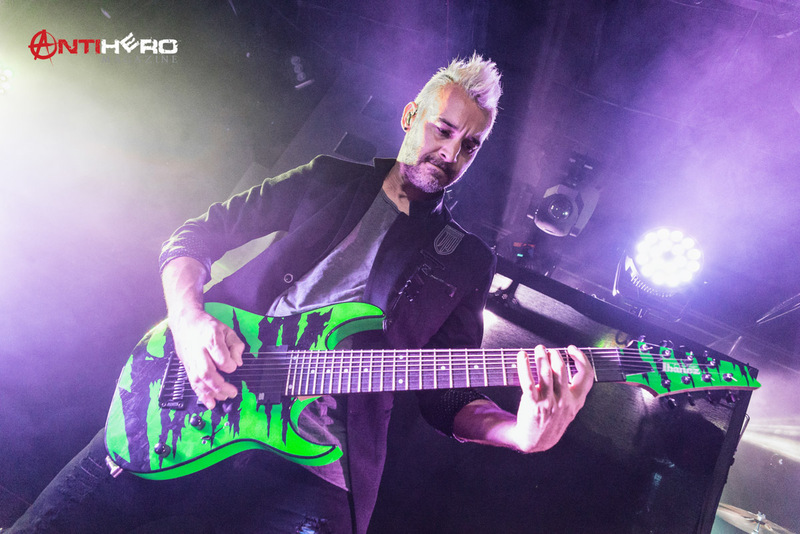 The lackluster performance made the job of Butcher Babies that much more difficult, since now the weight of building the energy in the venue fall on their shoulders. 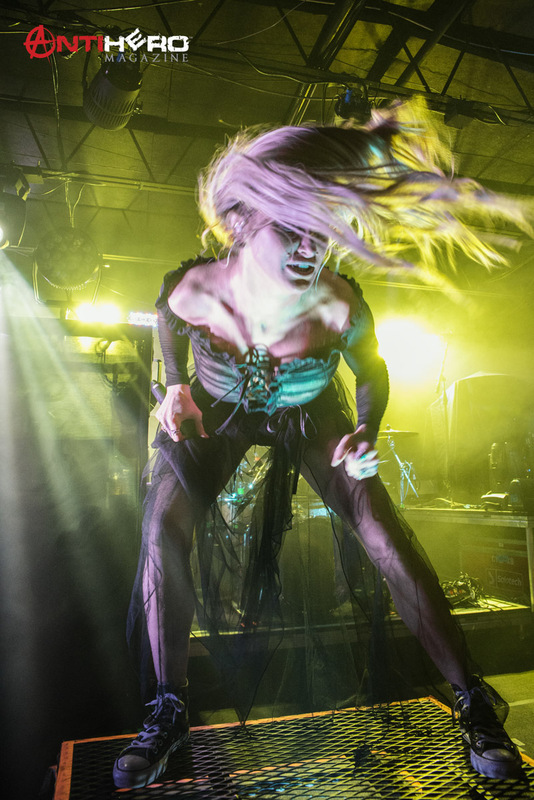 As soon as Butcher Babies hit the stage the crowd erupted with energy. 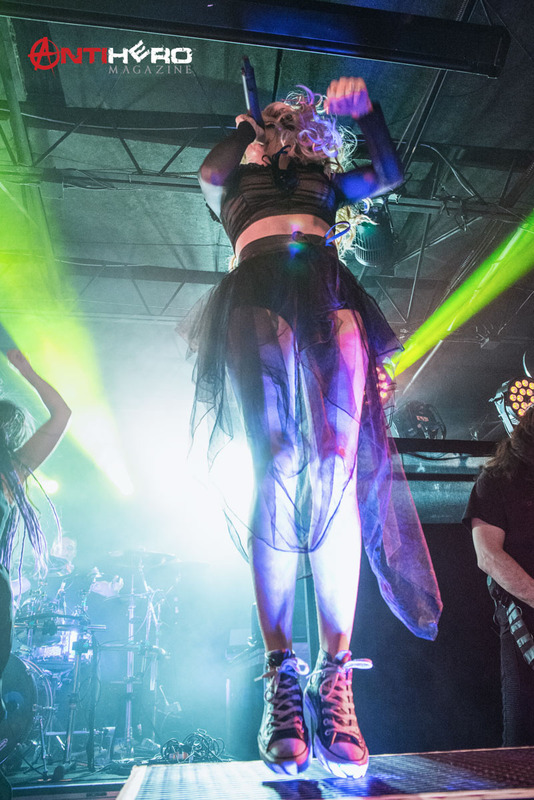 With an amazing light show and more headbanging and windmilling than the most Metal of concerts, the band immediately won over the crowd. 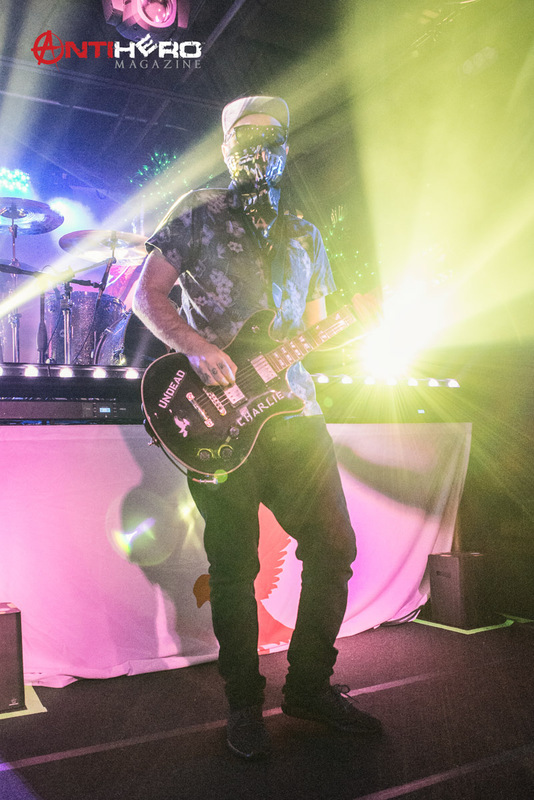 During the band’s fourth song fans began crowd surfing to the front of the stage for their opportunity to get a little bit closer to the stage. 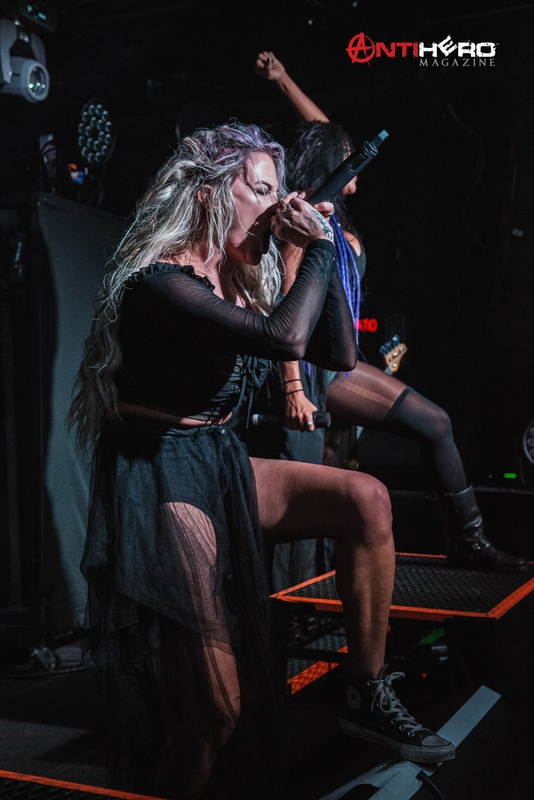 This was my first time seeing Butcher Babies live and even though they are one of the hardest bands to photograph because of their energy and light show, they delivered a performance that is in my opinion one of the best I’ve ever seen. 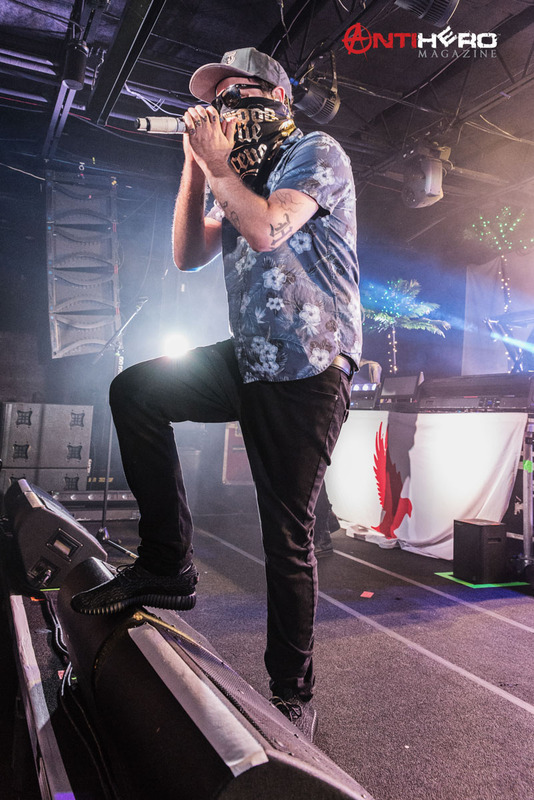 Shortly after the main support act of the night left the stage, the 45-minute tear down of the light rigs and stage props began, this gave the crowd a bit of an opportunity to catch their breaths before the night’s headliners took the stage…15 minutes later than they were scheduled to. 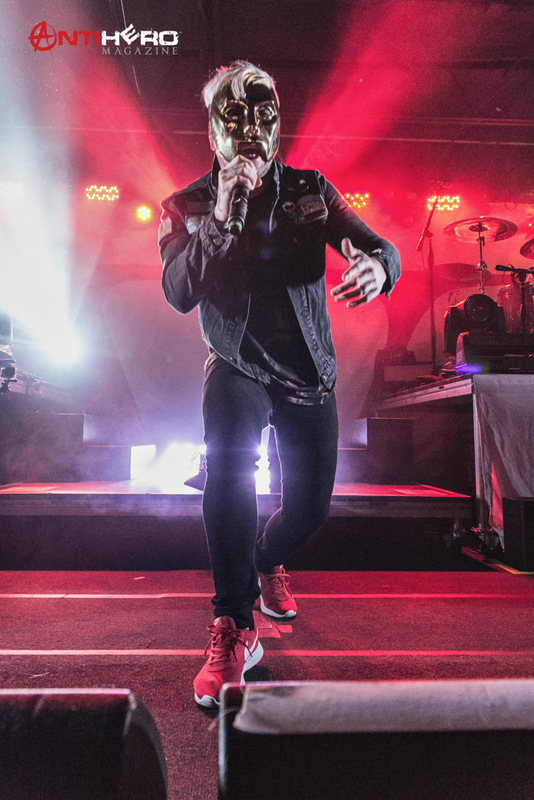 When Hollywood Undead did take the stage, I think most of the crowd forgot they were at a concert because the energy in the room had disappeared, maybe in that hour of downtime fans in the crowd caught a power nap to kill time. 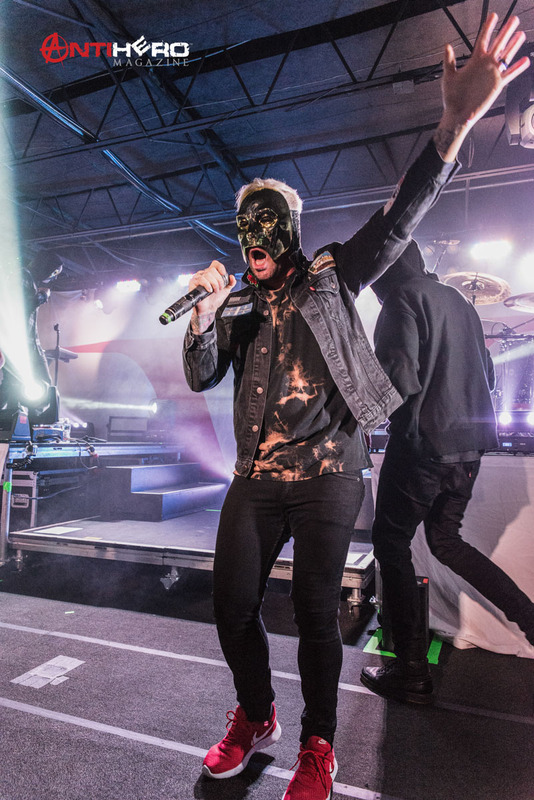 It wasn’t until the band’s third song and one of their biggest hits, “Undead”, that the crowd began to become livelier. 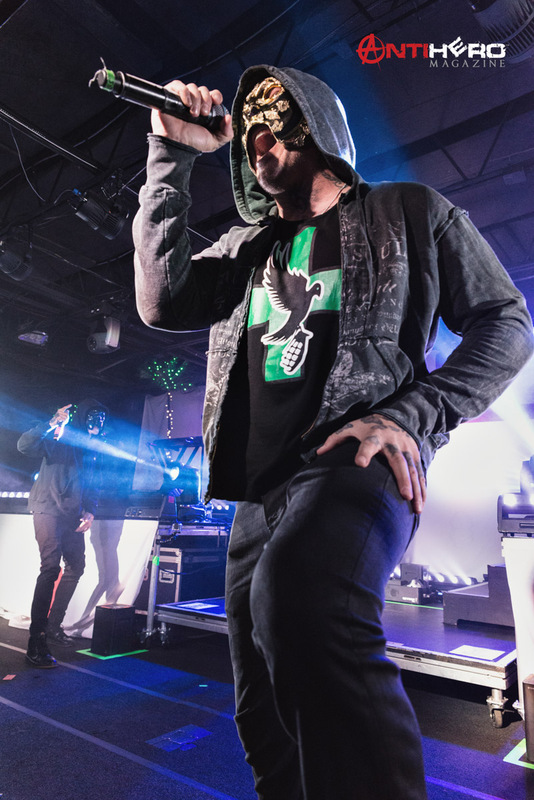 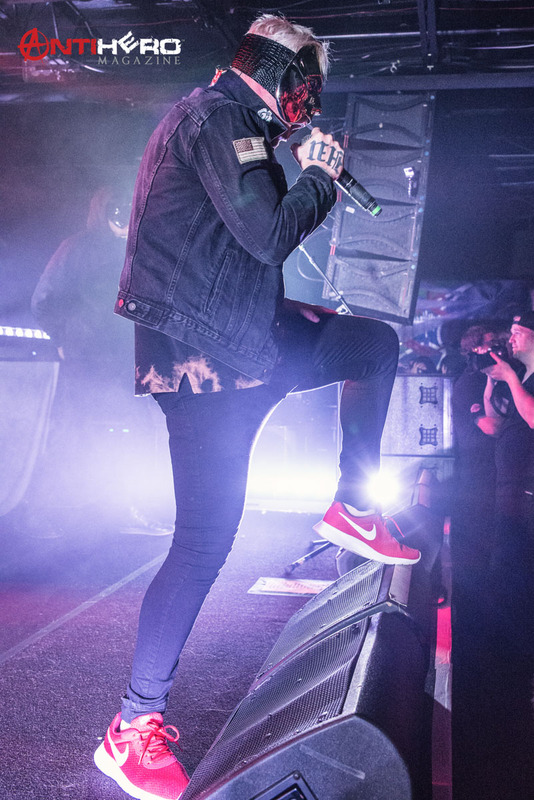 With a mixed set list of fan favorites and songs off the band’s upcoming release, Hollywood Undead did deliver but they had to put in more work than they should have to get the energy levels back up after the long break between bands. 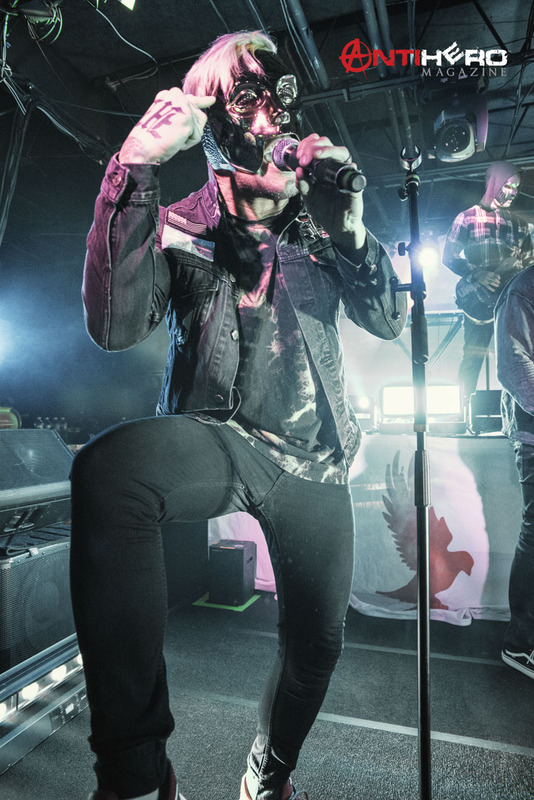 Overall, I highly suggest checking this one out, just make sure you show up after the opening act leaves the stage. 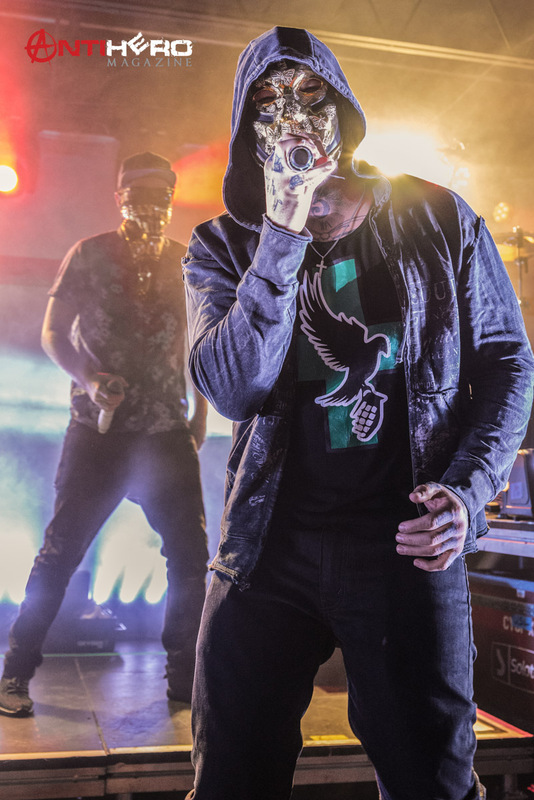 The bands are on tour through December when Hollywood Undead takes their show over to the United Kingdom and Europe for the start of 2018.